The world of online casino has seen a revolution since the start of the decade and it’s not difficult to see why. As the world has slowly grown to rely more and more on technology, casinos have migrated online as a way of enticing new players to join and play some of their games. There are also some obvious benefits to playing at a casino online, including no closing hours, a wide range of games that you can’t find in land-based casinos as well as casino bonuses. The welcome bonus has become a staple of the online casino industry, with operators using them as a means of ensuring new players sign up and receive some of the excellent benefits that are on offer online. There are many varieties of welcome bonuses and they come in a variety of different forms. At online.casino.ie, we’ve looked through and examined a vast range of casino bonuses and offers online to help you, the player, decide which are the best casinos to join and win big jackpots from. We’ve looked at the welcome bonus that is presented by Reel Island Casino and have concluded that it’s one of the best available online. 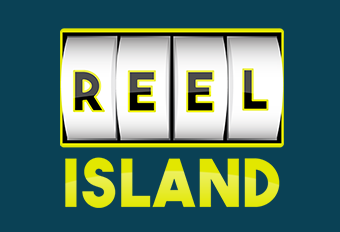 New players at Reel Island can take advantage of new bonuses on their first three deposits on the site when they sign up. These are all effectively deposit bonuses, where players receive a bonus on top of what they’ve already deposited on the site. When a player makes their first deposit at Reel Island, they’ll receive a 100% matched bonus up to €100. On top of that, they’ll receive 25 bonus free spins to play on the hugely popular NetEnt slot, Starburst. On their second deposit, players will receive a 50% matched bonus up to €200. For example, if you place a deposit of €200, you’ll receive and extra €100 to play with. Again, you’ll receive some free spins to use on slot games, this time you’ll get 25 free spins to use on another NetEnt slot, Aloha! Clusters Pays. The third and final bonus sees players receive a 25% bonus up to €400. So players will receive an extra €50 to play with, if they make a €200 deposit. Again, there are some extra free spins that come with this bonus, with players receiving 50 bonus spins to use on the Guns N’ Roses slot game. It doesn’t matter whether you’re a regular player or a complete novice, as Reel Island Casino’s promotions page has something for everyone. The casino site is easy to navigate around and the promotions tab is clearly identified at the top of the homepage. By clicking on this, you can find everything you need, including the welcome offer. However, that’s not the only thing there as ongoing promotions for regular players, including daily giveaways on both slots and classic table games, like blackjack or roulette. There’s also a loyalty programme and a VIP club, which features some fantastic prizes if you’re lucky enough to be invited along. The world moved online around the turn of the century, but what’s now becoming ever more popular is accessing the internet whilst on the move. The mobile casino is one of the great innovations of recent times and players now have the ability to play casino games while on the go. Playing on tablet or mobile devices has made gameplay much more accessible to all casino lovers out there, which means that the outreach has been enhanced while there’s a market to entice a different type of player into the world of casino. Reel Island have a fully functioning mobile casino and app, which features some incredible slot games. To sign up for the mobile casino, players simply have to log in on their web browser, enter their mobile number on the online form, then click on the link in the text message they’ll receive. When you accept any bonuses, including free spins, jackpots and other cash prizes, you must first check the specific terms and conditions of use for your casino bonus before you start enjoying it. You should do this before using any casino offer as there is nothing worse than taking part in a promotion, thinking you’ve done everything necessary, only to be caught out at a later stage. Many bonuses have playthrough and wagering requirements attached to them. Wagering requirements refer to the number of times bonus funds need to be wagered before they can be turned into cash and withdrawn. At Reel Island, these are set at 35, meaning players must wager their bonus 35 times before making a withdrawal.